Protect your enterprise against the full spectrum of sophisticated cyber threats with speed and accuracy. 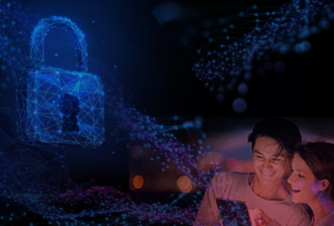 To effectively protect yourself from highly sophisticated cyber attacks that evade conventional endpoint security tools, you need a layered defense approach with multi-stage signature-less technologies, including advanced machine learning, behavioral analysis, anti-exploit and integrated sandbox. 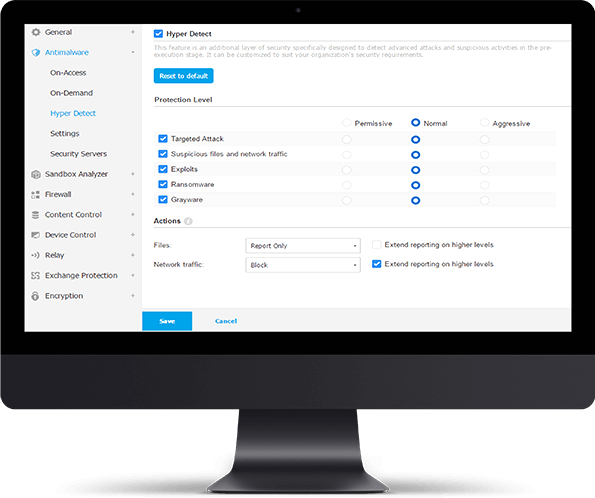 Many features work together to reduce the attack surface: Patch Management, Full Disk Encryption, Web Threat Protection, Firewall, Application & Device Control. Bitdefender leverages machine learning across its entire portfolio. Scanning engine, HyperDetect, Sandbox Analyzer, Content Control, Global Protective Network are only a few examples of Bitdefender technology that makes use of machine learning. Bitdefender HyperDetect contains machine learning models and stealth attack detection technology. It forms an additional layer of security, specifically designed to detect advanced attacks and suspicious activities in the pre-execution stage. Bitdefender Sandbox Analyzer provides pre-execution detection of advanced attacks by automatically sending files that require further analysis to cloud sandbox and taking remediation action based on the verdict. Bitdefender Process Inspector is a behavior anomaly detection technology that provides protection against never-before-seen threats in the on-execution stage. The Bitdefender Memory Protection layer protects against known and unknown exploits targeting browser and application vulnerabilities in on-execution stage. Elite defeats advanced threats and unknown malware that evade traditional endpoint protection solutions, including ransomware. Advanced attacks such as PowerShell, script-based, fileless attacks and sophisticated malware can be detected and blocked before execution. Fileless malware attacks execute malicious code directly in memory. Since no file is present on the disk, AV solutions designed for file analysis are blind to this type of attack. Bitdefender leverages Advanced Anti-Exploit, HyperDetect™ and Process Inspector to detect, block and interrupt fileless attacks. Once a threat is detected, Elite instantly neutralizes it through actions including process termination, quarantine, removal and roll-back of malicious changes. 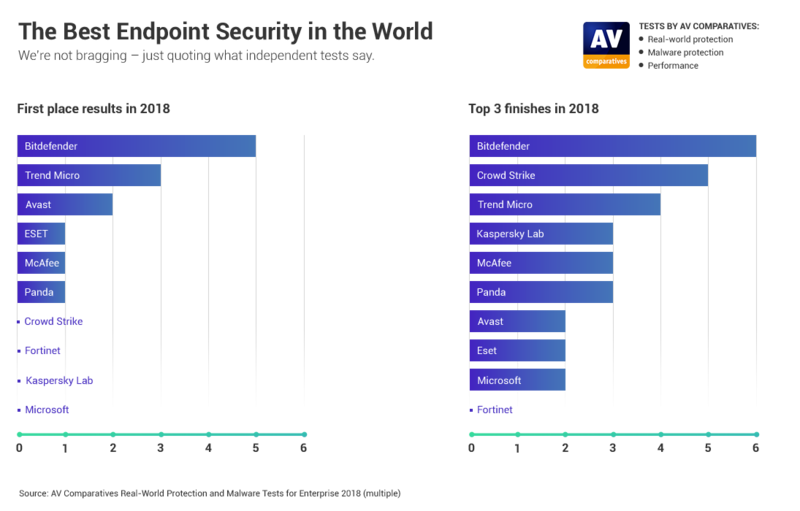 It shares threat information in real time with GPN, Bitdefender’s cloud-based threat intelligence service, preventing similar attacks worldwide. GravityZone’s Elite unique capability to identify and report suspicious activities gives admins early warning of malicious behavior such as dubious operating system requests, evasive actions and connections to command and control centers. Bitdefender’s single, integrated endpoint security agent eliminates agent fatigue. The modular design offers maximum flexibility and lets administrators set security policies. GravityZone automatically customizes the installation package and minimizes the agent footprint. 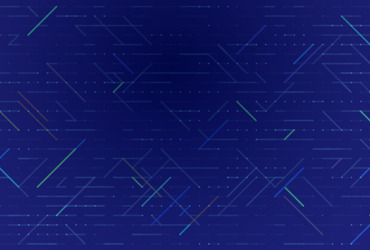 Architected from the ground up post-virtualization and post-cloud security architectures, GravityZone provides a unified security management platform to protect physical, virtualized and cloud environments. GravityZone Elite comes with HyperDetect, a next-gen layer in pre-execution, that uses specialized local machine models, behavior analysis techniques trained to spot hacking tools, exploits and malware obfuscation techniques. It effectively blocks attacks that both traditional endpoint and so-called “next-gen AV” defenses miss. HyperDetect tunable machine learning layer, detects sophisticated threats. Sends suspicious files for detonation, analysis and provides a verdict in real time. 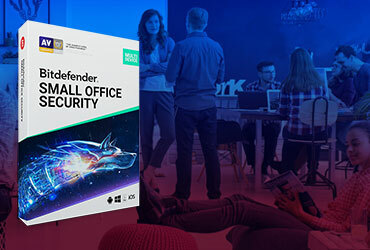 Skilled Bitdefender engineers will follow best practices and keep your business needs in mind while assisting you with the installation of the security solution in your environment. GravityZone Elite is available both with a cloud and with an on-premise deployment. It protects desktops, servers (physical and virtual) and mailboxes. Servers should account for less than 35% of total units. Note 2: Endpoint Security HD for Linux includes the HyperDetect module, but not the Sandbox Analyzer integration. How can I get a License for GravityZone Elite? Contact your Bitdefender Partner and ask for an Elite license key. If you don’t have a Partner yet, find the closest Partners in your region here. Your Bitdefender Partners will put you in contact with our experts who will help you install and configure your Bitdefender solution for the optimal protection and performance your business applications need. The SMB Start service offers customers the benefit of expert guidance throughout the beginning of the implementation, ensuring a smooth and trouble-free start. Skilled Bitdefender engineers will follow best practices and keep your business needs in mind as they guide you at the start of implementing the security solution in your environment. Are there additional features that I can add to Elite?